Before reporting something or asking a question, please read through our FAQ that answers some basic questions Click here to read them! Any email received that an FAQ question answers will be ignored. Do not use this form for any issues about your jnAccount! Please use the spiffy jnAccount form to submit any problems. Any issues sent through that form will automatically be sent to an administrator for them to fix. If you use the bug form, it may sit in our report queue for quite some time! Please use your jnAccount username if you'd like the error trophy. If you want a reply, you need to fill this in. We may or may not reply. We will not Neomail you. Email only. Please tell us what the name of the page is. Please copy and paste the URL of the page where the error is located. A URL begins with http://. Please describe the error in as much detail possible. Are you at least 13 years old? If not, we just won't keep your email address. 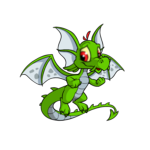 What is this species of Neopet?